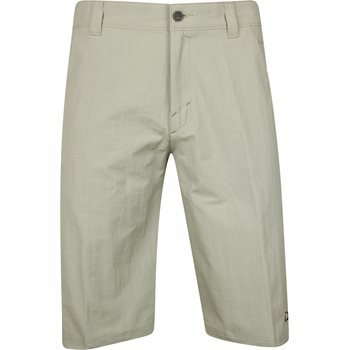 The Oakley Take 2.5 shorts are constructed of 94% Nylon/6% Elastane fabric for a comfortable fit. These stylish shorts have a 12” inseam and feature a solid color design with O-stretch material for unrestricted motion and have the Oakley logo on the front left leg and on back woven label. The material features an O Hydrolix™ finish that wicks sweat away to keep you comfortable also helps protect you from the sun’s scorching UV and has just enough stretch to keep you comfortable all day long. Review by Keith w, 1 year ago. Review by Dlee, 8 months ago. According to Oakley's website, the inseam is 12"